Energize Our Neighborhoods is a community collaboration to help make our neighborhoods unique and desirable. By aligning resources, we can improve livability and make measurable change. Learn more about Energize Our Neighborhoods by visiting www.energizeourneighborhoods.org or calling 208-570-6849. Time to pick up the park! WBNA was approached by Citizens for Better Transportation who offered to present their case for a ballot item that would increase vehicle registration fees intended to keep up with growth in Ada County. WBNA strives to not take sides on political debate. With that said, our guests last night had interesting things to say about the future transportation challenges in Ada County, I feel it is worth our time to educate ourselves. Citizens for Better Transportation is a group of pedestrian and bicycle safety advocates, ACHD Commissioners, builders, developers, engineers, lawyers and others concerned about the future of Ada County. We are holding these visioning events with Energize our Neighborhoods to collect the desires of our neighborhood. This is an important first step on the path to addressing the needs and desires of our slice of Boise on the West Bench. The poll is complete and you have spoken! Of 88 votes The Chelsea choice has been chosen by 10 votes. 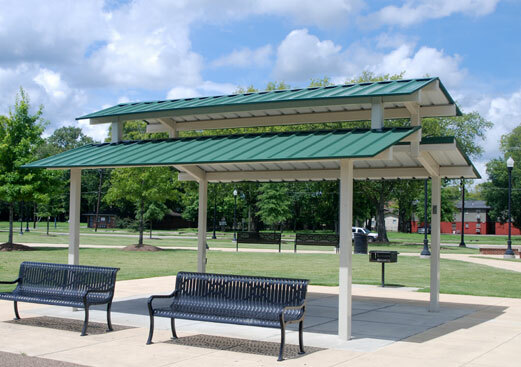 I think this shelter will look great at Fairmont Park for years to come.